It was a beautiful Sunday today here in Lexington, Kentucky! 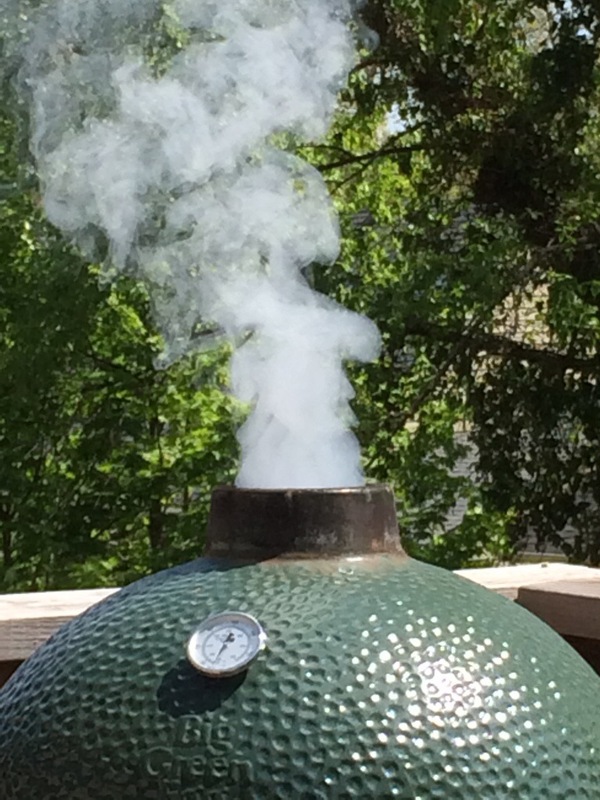 Julianne and I had plenty of wonderful produce from Bountiful Baskets yesterday and so we put together an amazingly good lunch with the use of my wonderful big green egg grill. 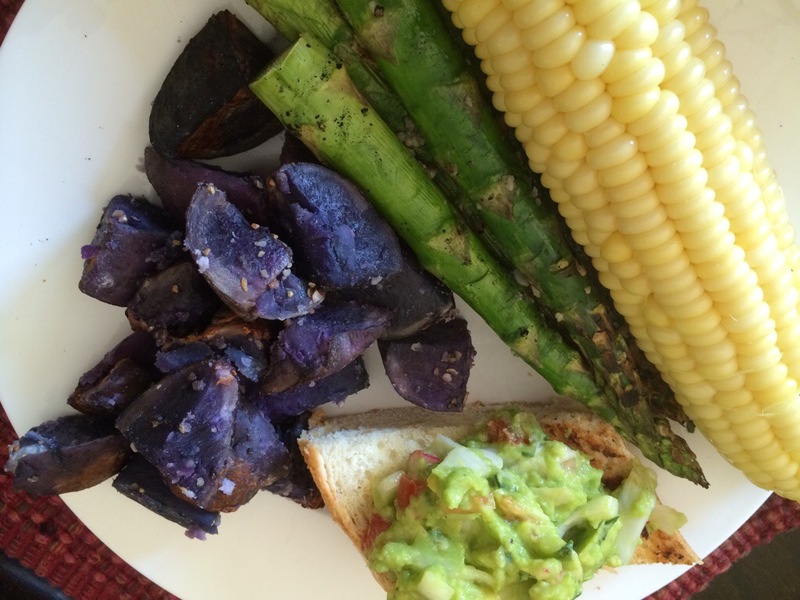 Fresh corn, PURPLE potatoes, huge asparagus, a unique avocado bruschetta (fresh avocado, endive, tomatoes, radishes, green onions and basil) on Bountiful Basket sourdough and for dessert — grilled fresh pineapple! Anything missing? I don’t think so! One of the joys of bountiful baskets participation is the unique items that we get almost every time. 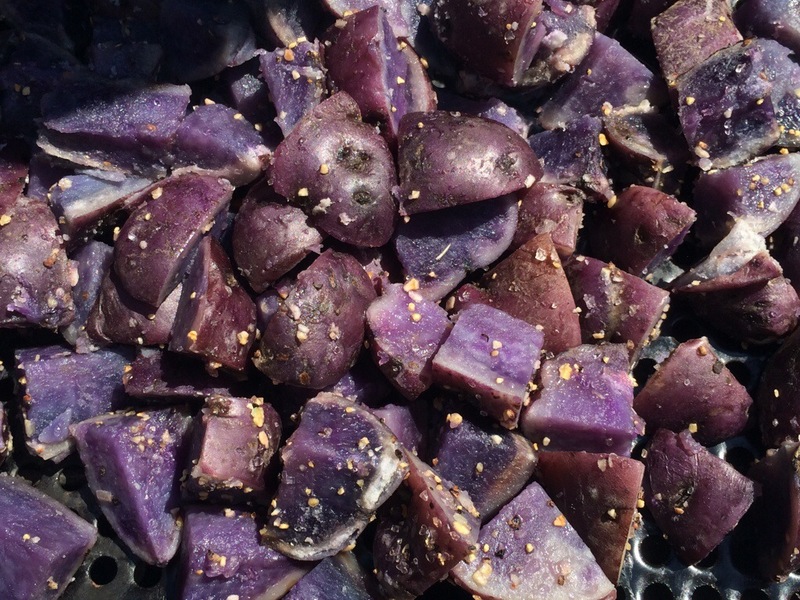 This time around it was the purple potatoes. 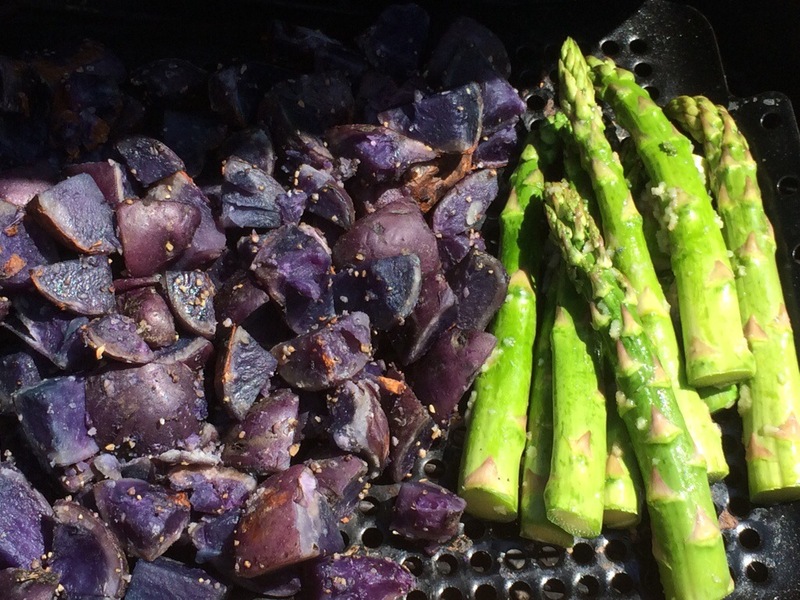 I’ve never had purple potatoes. 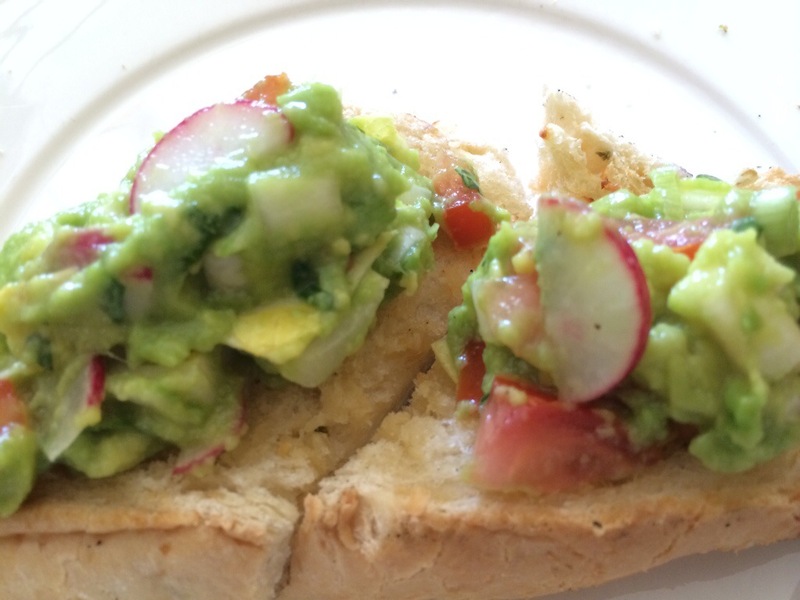 But these not only tasted good, they looked good – they looked unique and exciting! 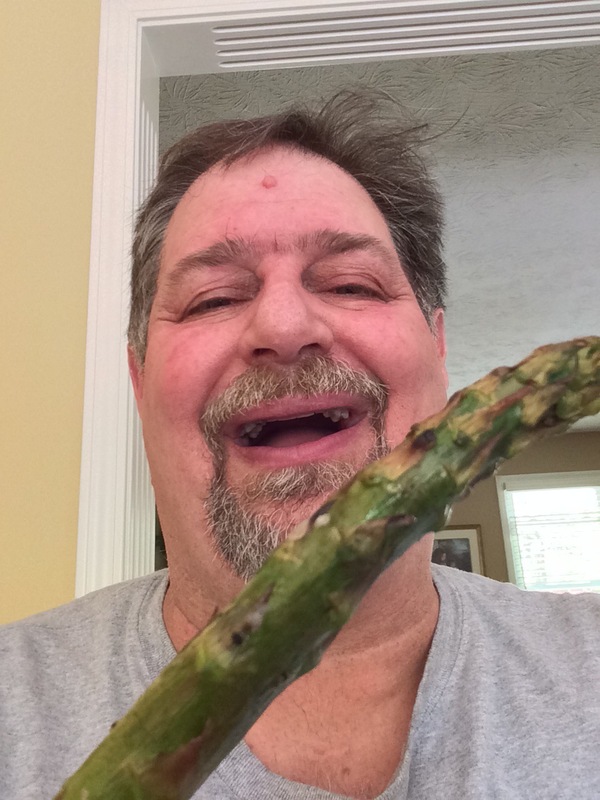 Shortly after we had the potatoes on the grill, Julianne prepared these massive stalks of asparagus with her themed garlic mixture and these were added to the grill. All of this was cooking I shucked some corn. 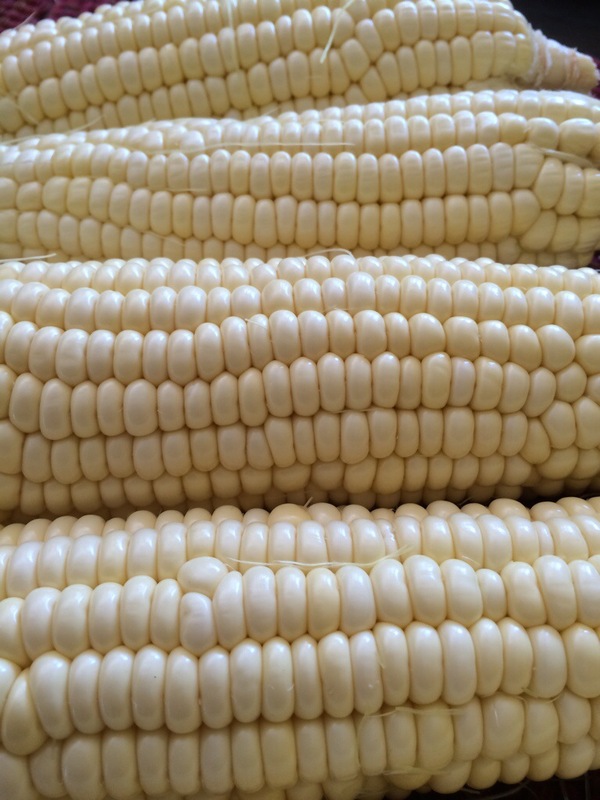 This is corn from California and it was amazing corn. Thick, heavy and really tasty looking! 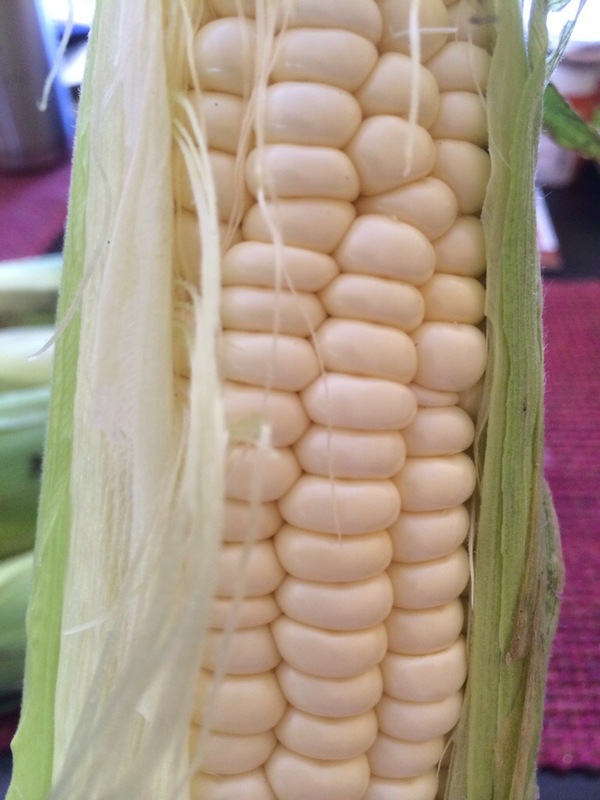 Sweet Corn…doesn’t that look good? Ultimately, we had a meal fit for a King (and his queen!!) No meat, nothing per packaged — ALL fresh goodness!! 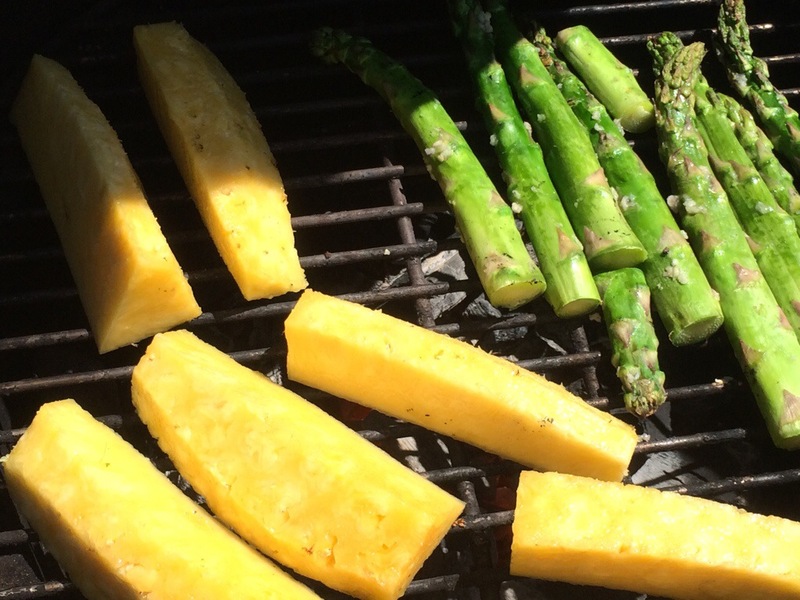 While finishing up the asparagus, we also put some fresh pineapple on the grill. This was our dessert and it was absolutely sweet as can be. 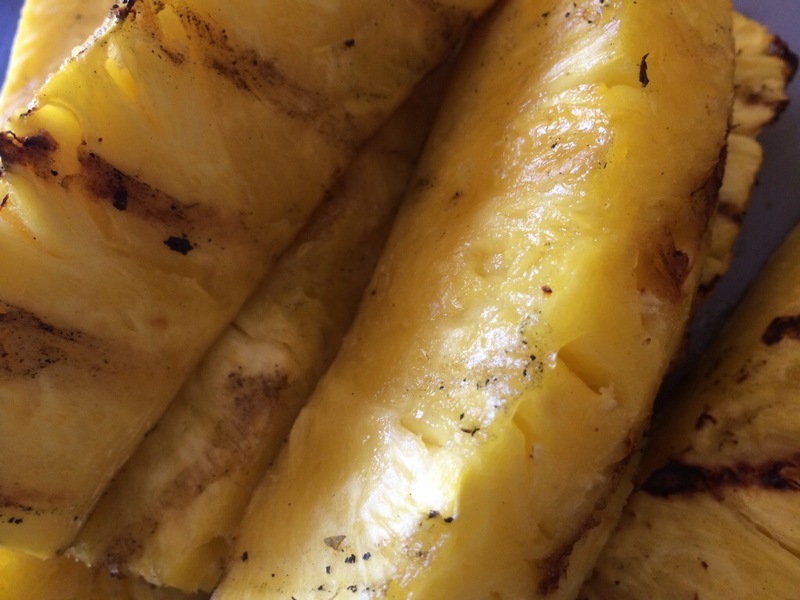 Grilled Pineapple — look at those stripes! After a lunch like this, we were both feeling great, but took a nap anyway. It was a wonderful afternoon! !